Splat Paintball Park is Rated #1 as South Florida’s premier paintball park. Splat Paintball Park is serving the Fort Lauderdale, Hollywood, Miami Dade, and Broward County areas. Here at Splat Paintball Park, battles take place with high quality paintballs. 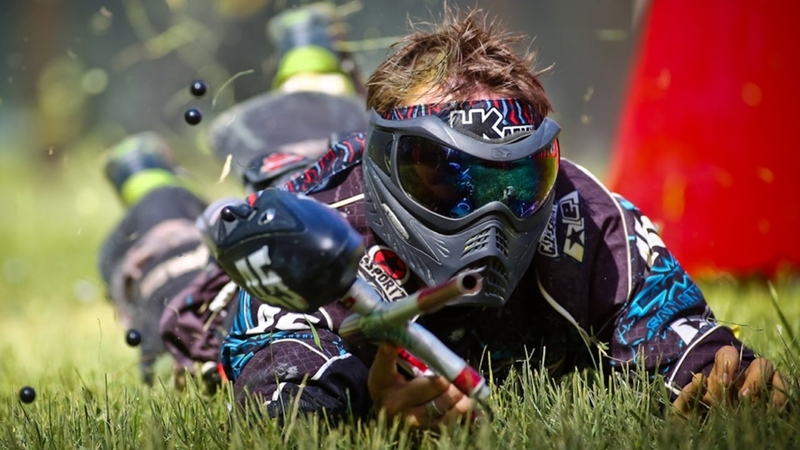 A professional paintball team designed the attractive paintball arena and its paintball storefront, which sprawls across 2 acres and encompasses a tournament grade turf field with PSP bunkers. Splat Paintball Park in Miami also fills its facility with Splat Paintball Park in Miami specializes as a paintball facility that can host large corporate events, birthday parties and even field trips for all ages to enjoy! Pablo and his staff took such amazing care of us. Everyone here is super friendly and helpful. We came here for a birthday party and it was SO MUCH FUN! My 9 year old wants to come back for his birthday. The prices are very reasonable too. We will definitely be coming back soon! I came here for my birthday today and my family and I had a great time. They took such good care of us and were there to answer any questions and anything we needed we were provided with. Wonderful customer service. So much fun, we had a blast!!! Definitely recommend. If I could give them a 10 stars, I would. I can’t say this enough, but Pablo out did it with the service he provided. Everyone in this place is awesome. Thank you for an unforgettable Sunday. My family will definitely be returning soon. Great time! Pizza was absolutely delicious, staff was amazing. The paintball area was well taken care of, great inflatable bunkers and artificial turf on the ground. My son loved the shooting range area to get a feel of the equipment. We’d love to come back soon. This weekend I was babysitting my boss’s kids and they have never gone paintball shooting. They were thrilled and excited. Upon our arrival we were given a contract, equipment, head gear, guns a low air impact for the kids, and a pie of pizza. The prices are affordable and for 136 dollars the kids had the time of their lives . Keep in mine I was babysitting 5 kids. I had a great time! The pizza was nice and cheesy. I would recommend this place to everyone. It’s a great time. The customer service was impeccable. Pablo took very good care of us. He’s a sweetheart!